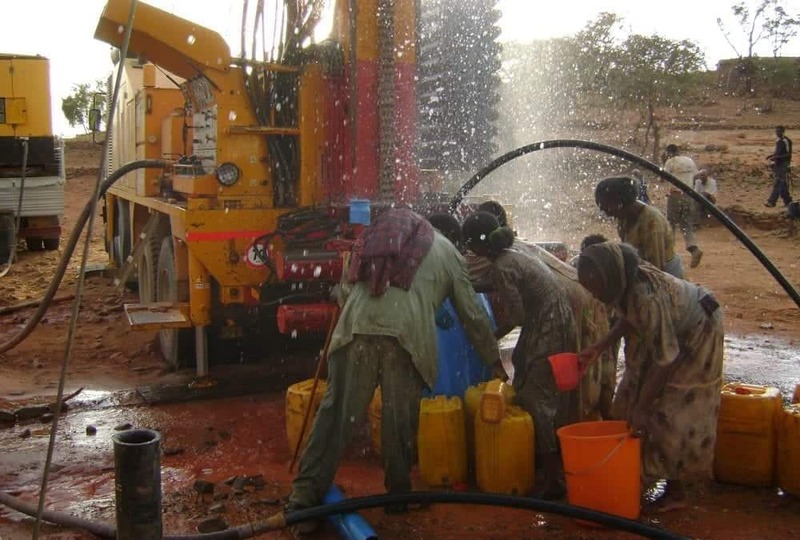 thanks to the Massenza drill rigs, a large area of ​​drinking water will be guaranteed to a large area of ​​Ethiopia, the regional program foresees the realization of numerous water wells for the population of the territory. The possibility of drilling holes both with the hammer, the bottom hole, the sludge and even the reverse circulation allows a flexibility without comparison and therefore every machine Massenza can also be adapted to the most difficult ground conditions. The high quality of the Massenza machines combined with all the necessary equipment supplied and the technical support of our. The local dealer, Endeco Spa, has quickly enabled the construction of a large diameter well at a high depth. With the first MI28 arrived in Bahir Dahr has been realized a work with an initial diameter of 22 "and a final of 17" 1/2, which allowed to pipe with the 12 "for the entire excavation. the insertion of an 8 "submersible pump. In the photos below you can see our car in action. 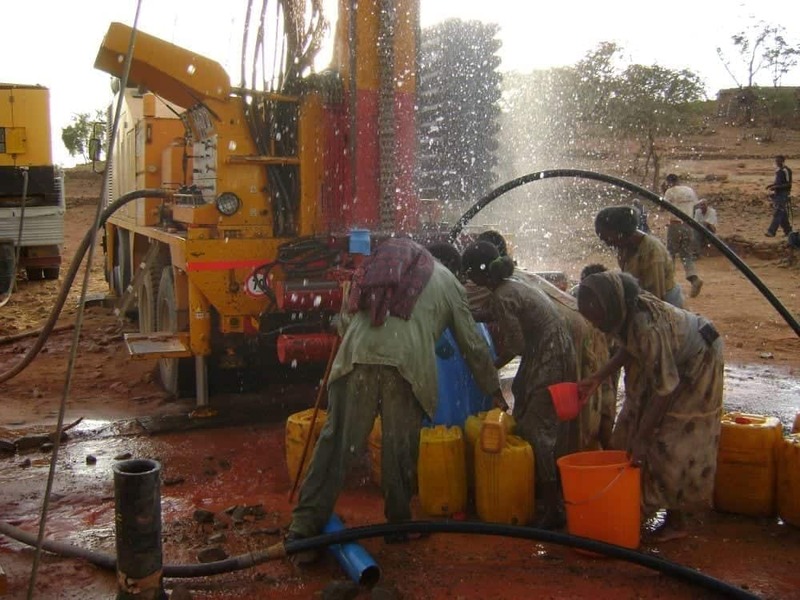 Being the same set up with a 36,000 l / min compressor at 25 bar and PM200 7 "1 / 2x8" mud pump from 2240 l / min to 20 bar it allowed the initial work to be done in mud and then continue to hammer the bottom hole once arrived at a compliance of hard and compact ground like basalt.